Q.: Why would you want to leave the gallery business? A.: Well, after nineteen years of exhibitions, publications, and sales, I am finally moving on. I consider it more of a transition. I have to leave behind this accomplishment, and forge ahead with another job, as the full-time representative of an artist’s estate. I also have very personal reasons for the move, since I need to be close to my 91-year-old mother. Q.: But what about your artists? What will happen to them? 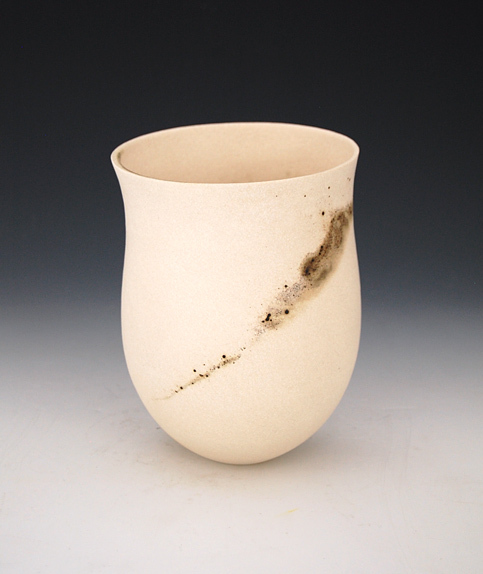 A.: When I started the gallery, I had a specific mission of presenting ceramic artwork in a fine art context. 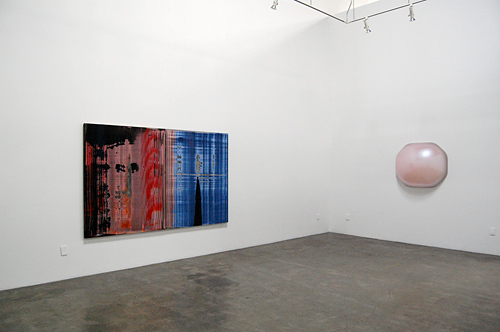 The gallery functioned on three levels: as a commercial venue for individual artists, as an educational resource for the community of Southern California. I wanted to preserve a legacy of ceramics in Los Angeles. Finally, the gallery served as a forum for dialogue among artists, collectors and critics. I think it succeeded on all those goals. Later, as the gallery expanded, I showed artists from other countries, including England, Mexico, France, Holland and especially Japan. Then, I further expanded the program to include contemporary painters and sculptors, because I thought they all came out of the same time period in L.A., the innovative post-war period. In many ways, ceramics, along with assemblage, led the way back then. Voulkos, Mason and Price were examples of fearless leadership and grew out of a common bond. Q.: But the artists, what will happen to them? You didn’t answer my question. A.: Oh, you’re right! I’m pleased to say that, for several reasons, ceramics has regained its rightful spot in the mainstream. Just today I had the pleasure of reading a review in the Boston Globe about an exhibition of 200 years of American ceramics at the Museum of Fine Arts, Boston. Featured were Cheryl Ann Thomas and Adrian Saxe. Also, an artist that I represented for 16 years, John Mason, has now regained his position in the art world, with shows like the Getty’s Pacific Standard Time, the recent Whitney Biennial, and his representation by David Kordansky. 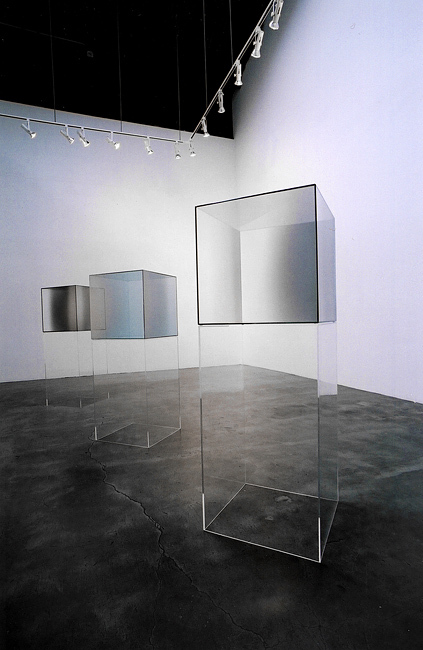 I’m proud of showing Larry Bell since 2006, and now he’s with an international powerhouse gallery, White Cube. Even a less well-known ceramic artist from Japan, Satoru Hoshino, is having a show with Dominique Levy. Others that I’ve shown, like Betty Woodman and Ken Price, both had retrospective exhibits at the Metropolitan. 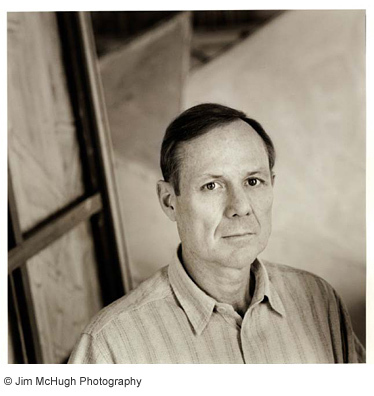 Back in 2003, Dave Hickey for Artforum named Ron Nagle’s show at my gallery one of the top shows in the world. Now, he’s been in the Venice Bienniale and had a survey at the San Diego Museum of Contemporary Art. 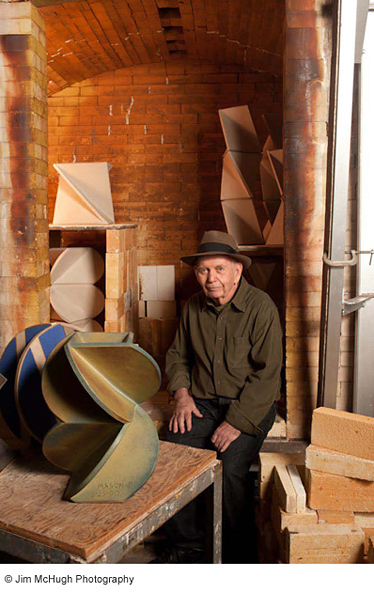 Adrian Saxe continues to win awards and recognition from critics and organizations. Q.: Is that because of what you did? Do you take credit for that? A.: No, I think the artists should get all the credit, I’ve always thought that. But the art world is increasingly aware of these artists, now, and there is a feeling of some vindication. I get some satisfaction out of seeing these artists, who I showed and believed in, get the change in visibility. I think it’s due to several factors, actually. I just felt it was going to happen, twenty years ago when I started the gallery. The exhibition program was all about the place of these artists and that history. Q.: What exactly are the factors you’re referring to? A.: First is the obvious trend: Young artists have been using the ceramic medium, and they have no real material hierarchy. That’s a major factor. 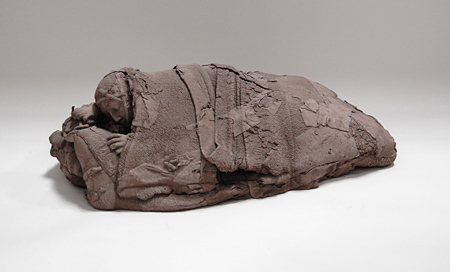 Younger artists will use anything; they are, quite fortunately, not bound to the old prejudices against clay. Critics have been champions of this use by young artists as well as the use by recognized artists. And curators have recognized the value of the work—look at the tremendous reception for the retrospective of Ken Price, for instance. The curators at major museums are making a big difference in the public’s perception. 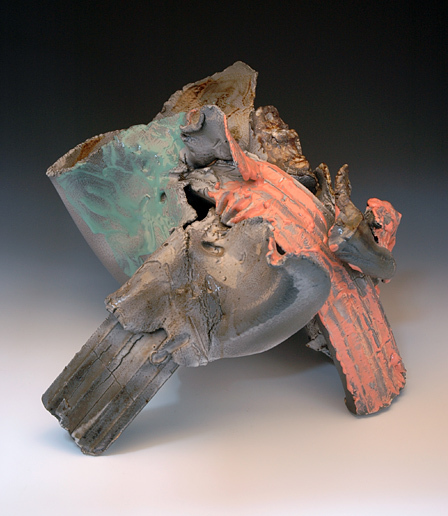 A.: Well, the gallery showed the ceramic work of a major woman sculptor, Lynda Benglis. We had two quite visible and successful shows of Betty Woodman’s work, well in advance of the retrospective at the Met. We’ve shown a significant number of women, including the early group like Vivika Heino, Laura Andreson and Beatrice Wood, then more contemporary artists like Cindy Kolodziejski, Jennifer Lee, Marilyn Levine, Betty Woodman, and Elizabeth Fritsch, as well as sculptors like Lynda. Cheryl Ann Thomas is another example. We didn’t just show the men! Q.: What part of the gallery are you most proud of? A.: Oh, that’s easy: the publications. I’ve taken that job seriously, working with writers and a legendary graphic designer. In many ways, I was lucky to work with a superb graphic designer, the late Joe Molloy, and he mentored me through the process of publishing. I still have a huge stash of our publications, in which we published the writing of Kristine McKenna, Hunter Drohojowska-Philp, and the art historian Frances Colpitt. I’d also have to say that every day in my gallery was enhanced by the architecture, designed by Fred Fisher. It’s a sad thing to leave this space, so perfectly designed. Q.: So, that’s a regret. What was your biggest disappointment? A.: Lack of attendance. We work our butts off, and then the attendance is poor. Q.: Were there shows that drew in the audience? A.: Yes, and it’s a great memory. The big crowd pleasers were clearly deserving: Adrian Saxe’s shows—any of them! And then, we had people return again with their family, just to see the stunning and heartfelt works of French sculptor Georges Jeanclos. 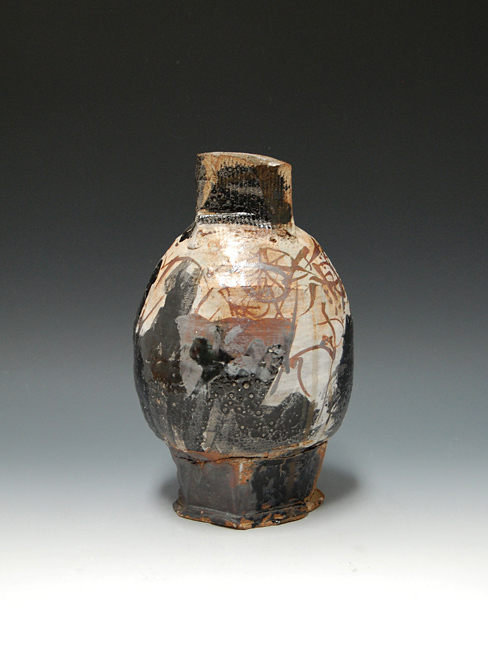 The first show of Peter Voulkos in 1999, that had people lined up just to get in. All were extremely gratifying to present. But lately, the attention has shifted and we are working on other projects. Q.: Will you be busy? Is there enough work in your new job to keep you busy? Or are you retiring? A.: This is a common question. 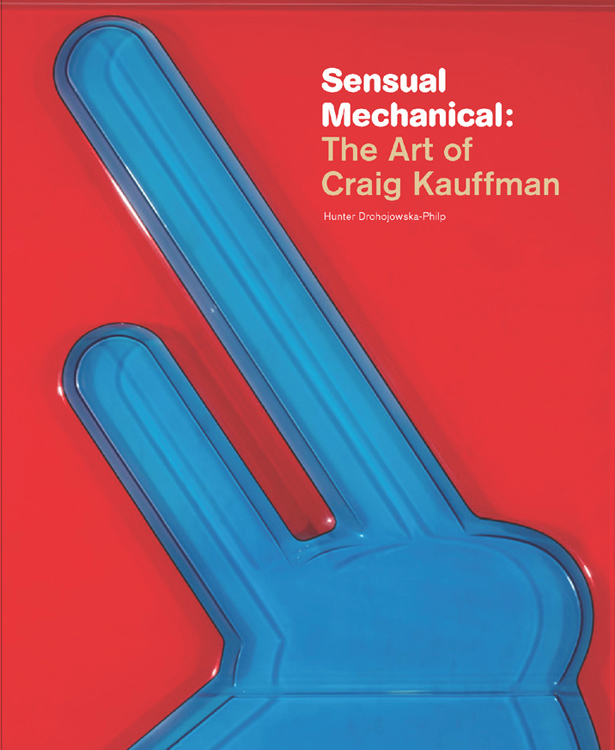 The truth is, with an artist of this significance, Craig Kauffman, there is more than enough research, conservation, and publication to keep a full staff busy for a decade. The representatives of artist’s estates, and many foundations, are dedicated to the job of preserving and protecting the legacy and work of an artist. We’ll have plenty to do. Q.: Won’t you miss the gallery business? A.: I’ll miss the people. I have a number of passionate colleagues. That’s something I learned: many art dealers are passionate and committed individuals. We are fortunate to have them. I must say that there should be more recognition for the patrons and the dealers. I started by coming from the artists’ side—and now I’ve learned more about the collectors and the dealers. Art world news is often about hot young artists, the big money that is spent, and the connections to celebrity, all of it coming in a steady stream on new portal sites, traditional news media, and social media. But the thing that sustains it all is the hard work and passion of the artists, dealers, and patrons. I’d hate to see an art world without art galleries. Q.: How would you sum up the last 19 years? A.: In five words or less? A lot of hard work. But seriously, when I started, I wanted to make a statement: a gallery with a sense of history, that presents itself as a strong and relevant component of the contemporary art world. Although it was originally media-specific and became known as a specialty gallery, everything we exhibited had a relationship to painting and sculpture. We presented ceramics as a vital part of the regional and national scene and we also proposed links between historical precedents and contemporary ceramics. That was the reason for the expanded program, and it succeeded in many ways. I think the last show is a good way to finish the statement, and I’ll continue to try to set the record straight. This week, I’m packing my bags to fly out to Marfa, Texas where Larry Bell will present a site responsive exhibition titled 6 x 6 an improvisation for the Chinati Foundation’s upcoming “Chinati Weekend.” A large-scale glass installation, the environmental work will absorb, transmit, and reflect light, calling into question the nature of physical and visual space. A program of special events will take place alongside the presentation of this work on October 11th and 12th, including a talk by curator Robin Clark, and a discussion between the artist and Chinati Foundation director Marianne Stockebrand. I’m looking forward to seeing Larry there! 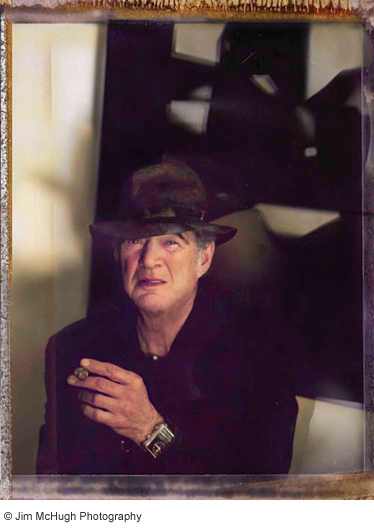 Here’s a great portrait of him, shot by Anthony Friedkin at the opening reception of the 2006 exhibition Cubes. Sometimes I look for unifying themes within the gallery’s exhibition program. It’s obvious that we specialize in contemporary ceramics, and we clearly favor a sense of place—the West Coast of the U.S. But what’s fascinating to me is that several of the gallery’s artists have a connection to France, and to French culture. Adrian Saxe was influenced, even early in his career, by Sèvres porcelain. He saw examples at the Huntington, when he was in his early twenties. Saxe was attracted to the soft-paste porcelain characteristic of the factory,as well as the inventive forms, delicate painting, and skillful gilding. 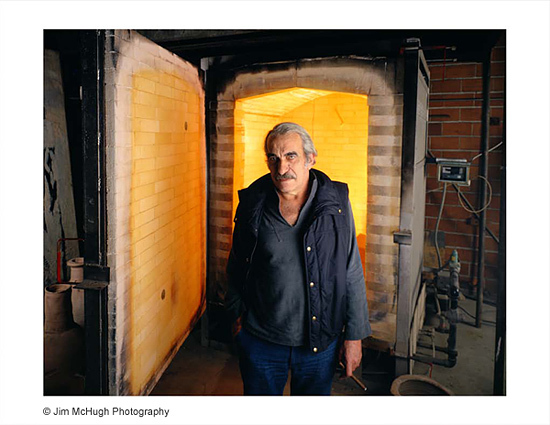 Then, in 1983, Saxe was selected by Georges Jeanclos to be the first resident at the Atelier Experimental de Recherche et de Création de la Manufacture National de Sèvres. 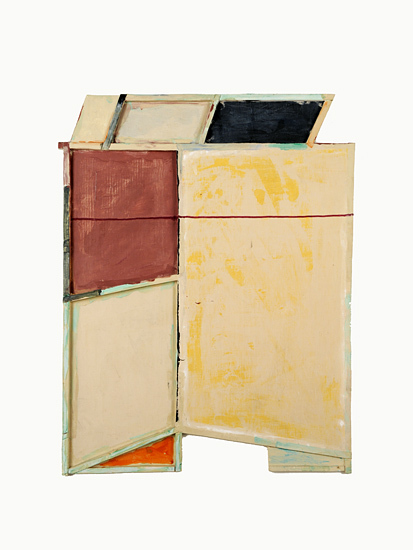 Saxe returned to Sèvres in 1987 for a second residency, where he continued his explorations of the factory’s traditional techniques and materials. Craig Kauffman made many trips to Paris. 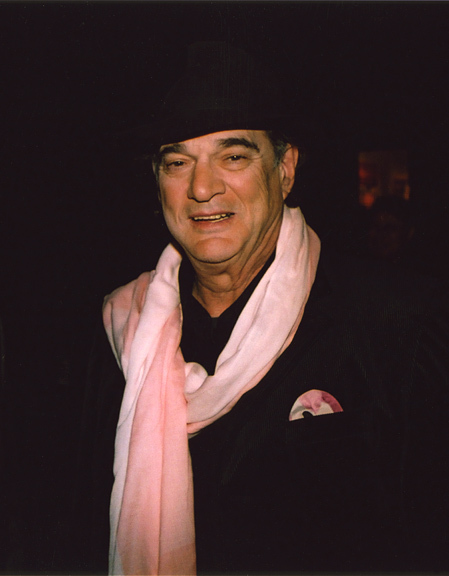 His first was right after his graduation from UCLA’s master’s program in 1956. During his six month stay, Kauffman took classes at the Alliance Française and visited museums and galleries. He returned to Paris in 1959 to 1961, while also traveling to other cities including Copenhagen and Ibiza. During this more extended visit, Kauffman met Darthea Speyer, who would later become his Paris dealer. 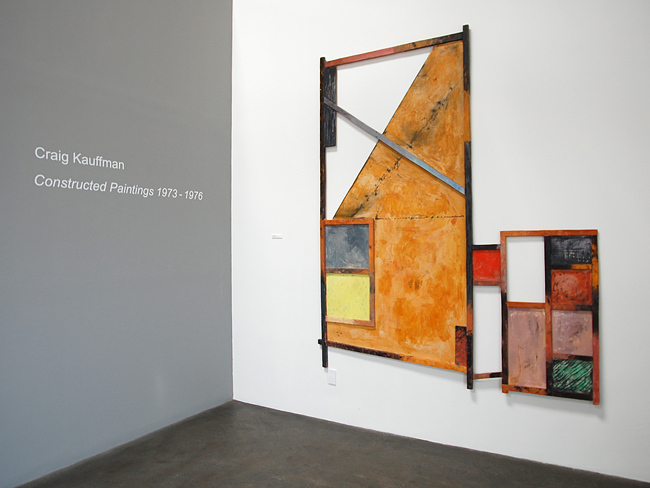 Kauffman went back to Paris in 1973 for a solo show at Galerie Darthea Speyer, and lived in a studio in the Cité Internationale des Arts through the fall of 1975. 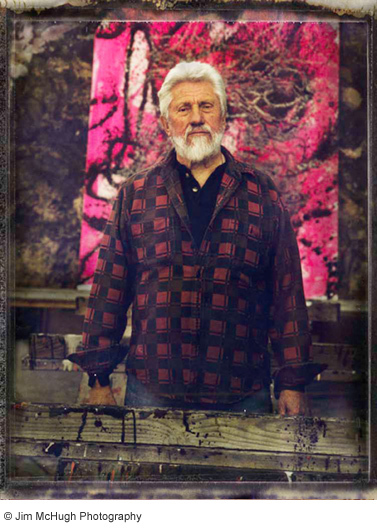 After spending the spring of 1976 in California, he returned to France, to work in his studio and exhibit new works at Galerie Darthea Speyer. 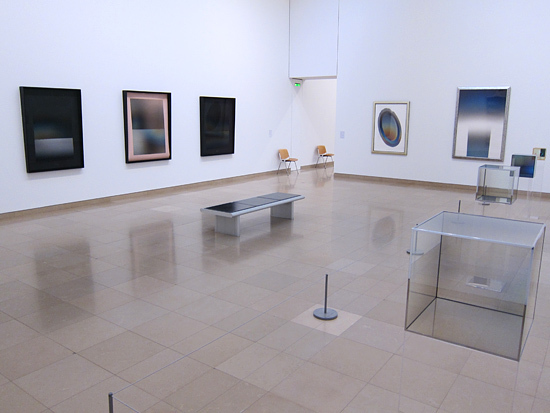 Three years ago, Larry Bell was honored by the Carré d’Art de Nîmes with a very significant survey exhibition. Yet this is not the first time Bell’s work was shown, or collected, by the French. 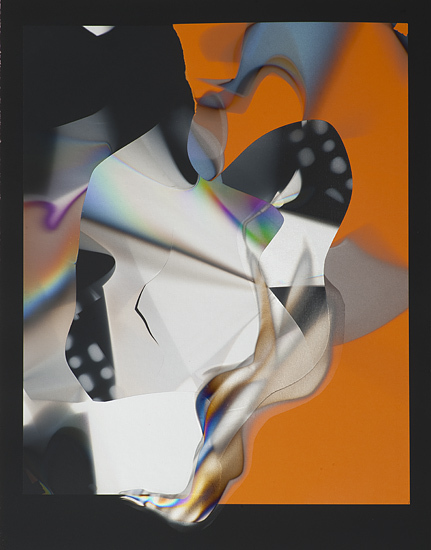 History shows that Larry Bell exhibited in France many times, including at the Galerie Ileana Sonnabend in 1967 and 1974, the Palais du Luxembourg in 1993, the Centre Pompidou in 2006, and the Galerie Daniel Templon in 2010. It’s interesting to note that Larry’s brother, a famed economist, maintains a residence in Paris. The gallery has also shown a major French artist: Georges Jeanclos. It was an honor to exhibit the work of such a renowned international artist on two occasions. 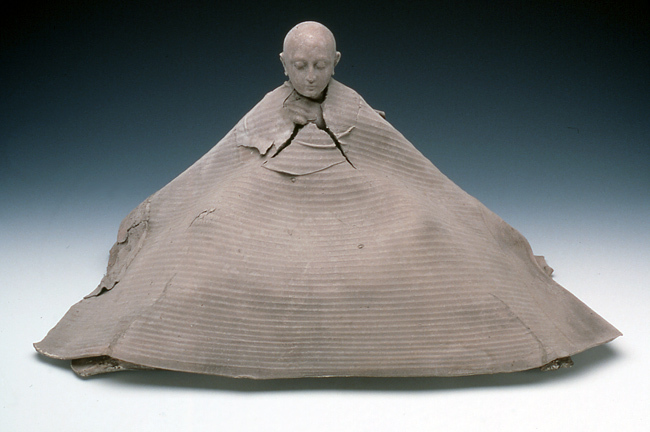 His emotional work profoundly affected visitors, as the artist’s deft handling of his terra cotta materials evoked a powerful sense of the tragedy of human experience.